“A nation that does not know its past has no future”. This statement by the Ancient Greek thinker Plato can become an epigraph for a new album "Memento Belli" ("Remember The War") of the martial/neo-folk duet ORDER OF VICTORY, which is dedicated to the centenary of the First World War’s beginning. The CD includes six compositions, two of them are created to lyrics from N.S. Gumilyov and A.A. Akhmatova, one track is an edited version of a folk song, other three songs are issued from the project's pen. So long as it is possible to call confidently the First World War as "an unknown war" in Russia, because the events related to the subsequent October coup d'état and the Civil War completely depreciated a Russian soldier’s feat in combating the enemies of the Fatherland, ORDER OF VICTORY aspires to put the historical record straight. The album not only glorifies the Russian soldier’s heroism, but also shows pain of mothers and wives, the tragedy of the Russian soldier who became a blind tool in hands of criminal politicians. "Memento Belli" is released by Casus Belli Musica as CD limited to 414 copies, and contains the following besides the CD itself: a photo frame with a picture (painted by Igor “DartGarry” Burlakov), an anniversary post card (designed by Nihil Design Studio) and a newspaper leaflet with lyrics (translation of lyrics into English and stylization of lyrics in the manner of Russian pre-reform orthography by Sergey AR Pavlov). We are clearing our shelves in stock! Last edited by dreadmeat on Fri Nov 07, 2014 10:54 pm, edited 1 time in total. Status Prod. feat. Casus Belli Musica present the album-tribute “Потерянный декабрь/Lost December” of ORDER OF VICTORY. The band made a decision to celebrate their 10th anniversary releasing this album, and finish any creative activity of their old project COLD DESIGN. The CD includes some unreleased tracks not used in any of COLD DESIGN’s albums, and it includes the songs united with military themes. The album is released as a 6-panel card-sleeve with a card – a X-mas ball and a newspaper leaflet with the songs lyrics in Russian and English. The number of printed hand numbered copies is 410. The release date is the 31st of December 2014. The split presents one track for each project: the song "Rome" of ORDER OF VICTORY and the composition "Terza Roma" of TSIDMZ. For the first time in their creative work, ORDER OF VICTORY used an acoustic guitar in recording process, and the song is already traditionally composed to words from Nikolay Gumilyov. TSIDMZ involved a rare recording of the orthodox church choir performing psalms in Latin in this composition. The EP release is planned for the 15th of August 2015. 7" EP will be released as a limited edition of 105 standard (bronze vinyl with oxblood and black splatters) and 25 deluxe version copies (a hard cover surfaced with velvet). Both versions contain codes for digital downloading in 24bit/44kHz format. 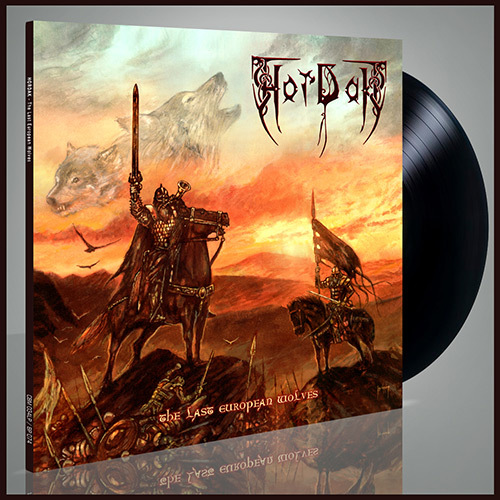 The lyrics are translated into English by a translator Sergey AR Pavlov (ARKONA, ALKONOST, MUNRUTHEL, HAGL, MASTER (USA/Czech)). СASUS BELLI MUSICA and BEVERINA PRODUCTIONS present the mini-album of BIRDS’ WAY. The authors of the project are an arranger Aleksey Solov'yev (SERDTSE-KAMEN, CHERNAVA YARA, ex-ALKONOST), and a female singer Aleksandra Terekhina create in a vein of nordwave folk combining strongly marked rhythmical patterns, epic melodies, inclusions of the male choir and heartfelt female vocal parts. The songs of BIRDS’ WAY is the interweaving of images brought to Aleksandra Terekhina (an ethnographer by training) during ethnographical expeditions in Siberia, authentic themes of indigenous Arctic ethnic groups, and fine books read in youth. The mini-album is released in vinyl format as one-sided 12”LP (half transparent blue with white, dark blue and red splatters) in an edition of 100 numbered copies (85 copies in standard envelopes, and 15 copies in lined board envelopes finished with velvet). The LP release is planned for the 10th of August 2015. Every copy of LP includes a code for download of the digital version with additional materials including lyrics in Russian and English. The lyrics are translated into English by a translator Sergey AR Pavlov (ARKONA, ALKONOST, MUNRUTHEL, HAGL, MASTER (USA/Czech)). Well guys! Time to return! Black vinyl, limited to 100 hand-numbered copies. 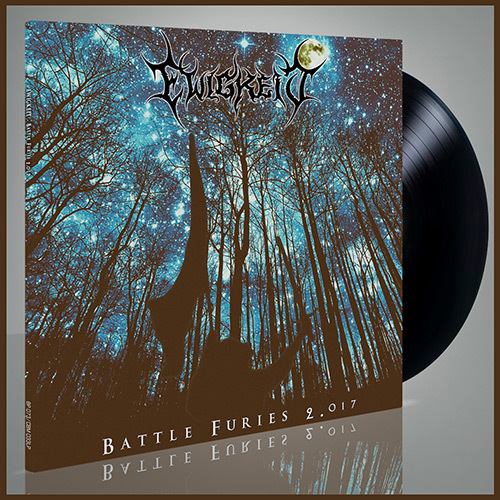 "Battle Furies 2.017" is the completely re-recorded debut album originally released in 1997 on Eldethorn (UK and Japan). James Fogarty says: “Ewigkeit’s origins are in the tape-trading days of the mid 90's Black Metal scene, and this 'new' album is a rediscovery of those roots. The music is my own interpretation of the keyboard-laden mid-paced Black Metal and atmospheric Death Metal which I had been listening to as a teenager. This complete re-recording has not been undertaken for commercial reasons - I am simply interested in correcting my past mistakes; these were due to my own naivety of the recording process and a restrictive budget / studio time. The original recordings from 1997 were not something I am proud of at all. My desire to correct these mistakes, alongside my own indulgence in nostalgia, has resulted in the completion of "Battle Furies 2.017". It is now an album which I am finally happy with!”. James Fogarty is also a member of In The Woods..., Jaldaboath, Old Forest, Sollertia, Svartelder, The Bombs of Enduring Freedom, Blacksmoke, Con.Dev.Ex and The Feral Underclass. Under license of Napalm Records. 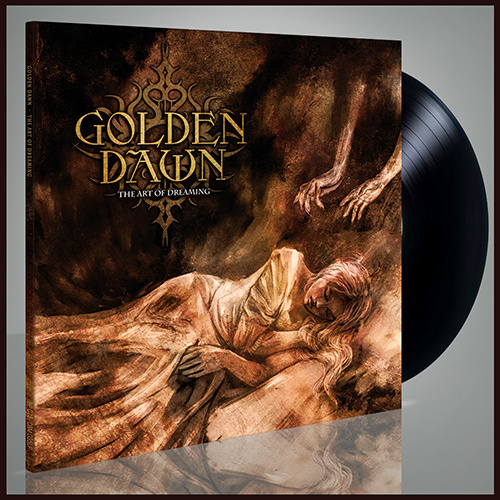 BEVERINA and CASUS BELLI MUSICA present a re-release of GOLDEN DAWN’s album “The Art Of Dreaming”! Certainly one of the best albums of the second wave of black metal will be released on vinyl after 22 years! “The Art Of Dreaming” is extraordinary and furious symphonic black metal from Stefan Traunmüller (a.k.a. Dreamlord), a member of Austrian Black Metal Syndicate. The album’s calling card is its verified studio sound and deep atmosphere, clear rhythm section; its keyboards, unobviously diverse, for this style, and “pre-dosed application” of clean vocal. It is worth mentioning in particular that the original master tape was used for the vinyl production. Digital remastering was not done! As for the album design, Stefan Traunmüller claims that the cover art finally looks like it should have looked two decades ago. The release will be interesting for the fans of BAL-SAGOTH, early ENID, SUMMONING and PAZUZU. 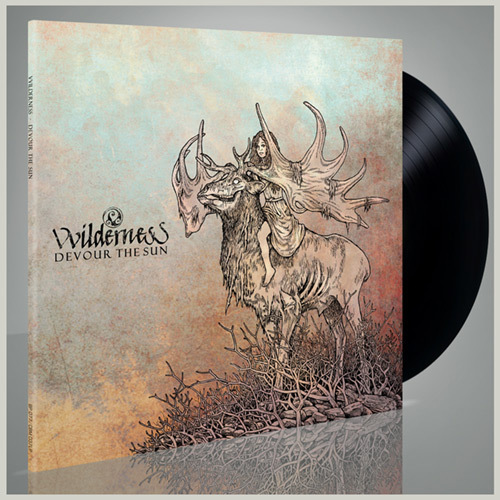 BEVERINA and CASUS BELLI MUSICA present VVILDERNESS "Devour The Sun" on vinyl! What you'll get, if you mix ALCEST and HARAKIRI FOR THE SKY? You'll get the new album of the Hungarian one-man project VVILDERNESS "Devour The Sun"! Traditional post-black metal with atmospheric, blackgaze and folk elements reflected in a way of little bit depressive songs, and melted into self-sufficient, and, in many ways, an extra-genre combination of mood, riffs, raw vocals and tunes. "Devour The Sun" continues the eco-conception of the project's previous albums narrating the Mankind's fall, and purification - as the myth-like Ragnarok and the planet's Renaissance... this time, probably, without any human beings. The release will intrigue the fans of ALCEST, HARAKIRI FOR THE SKY, HERETOIR, VIOLET COLD and those who would like to dispel the surrounding darkness with the sense of beauty. 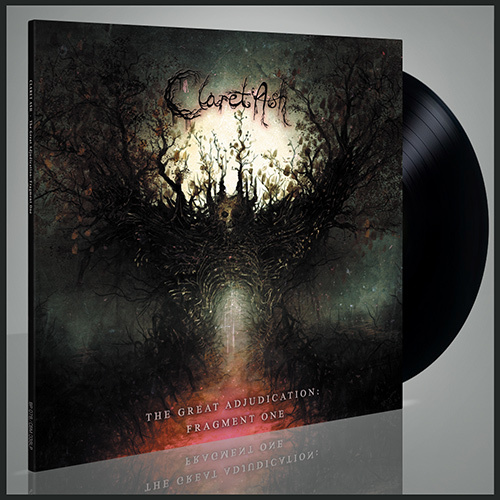 CASUS BELLI MUSICA and BEVERINA present the vinyl edition of EP "The Great Adjudication: Fragment One", the first part of the new album "The Great Adjudication" by CLARET ASH (Australia, progressive/atmospheric black metal). The thought provoking concept of humanity’s interactions with nature told on their previous album “The Cleansing” has continued with this album. Themes and imagery have expanded as new stories developed to lead listeners on a journey to “The Great Adjudication”, the retaliation and judgement of the natural world of our trespasses against it. “The Great Adjudication: Fragment One” will be released on black vinyl with a circulation of 150 copies on the 30th of March, 2018. The new album “The Great Adjudication” from CLARET ASH (Australia) will be a CD digipack release by Casus Belli Musica and Beverina in April 2018. Moreover, the album will be split and limited vinyl editions “The Great Adjudication: Fragment One” and “The Great Adjudication: Fragment Two” will be issued in March and September 2018. CLARET ASH are a progressive black metal band based in Canberra, Australia. While citing black/extreme metal acts such as WOLVES IN THE THRONE ROOM, ULVER and ENSLAVED as major influences, CLARET ASH have incorporated blackened-death elements, reminiscent of late BEHEMOTH, DARK FORTRESS, and THE GREAT OLD ONES. CLARET ASH focus on bringing to life the violence and intensity of change, of the shifting seasons, and of the turmoil of human emotion. This is reflected in the aggressive musicianship that showcases faster, more extreme drumming, a more brutal, dissonant guitar sound and a truly haunting and unique vocal range. 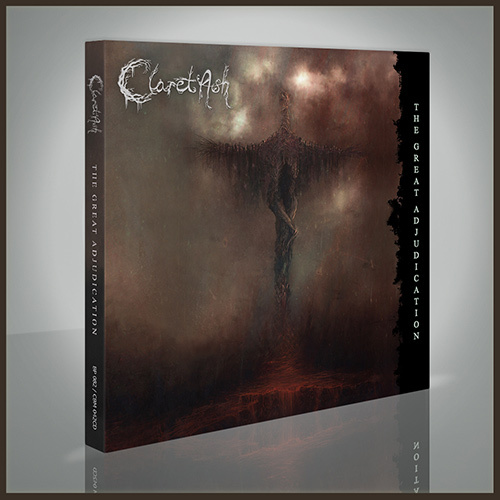 The alliance of BEVERINA and CASUS BELLI MUSICA presents the 3rd album Australian of progressive / atmospheric black metal band CLARET ASH - "The Great Adjudication". The band’s leader, James Edmeades, says about the album: "What is in essence a double album (Containing both Fragment One and Fragment two digitally and on Vinyl). This album brings together the concept of a world torn, exploring the great divide between humans and nature and the inevitable collapse. Exploring the journey of life, the realization of our impact on nature and our shifting focus through technology, the violence and intensity grows song by song. The later tracks recognize the compassion some individuals hold and the quest for change that some embark on, but ultimately the masses will be caught in the divide and feel the wrath of nature's retort. Each song stands on its own but together serves as the warning of our devolution. This is your invitation into the world of The Great Adjudication. Do you dare to commit to the world, read the lyrics and focus on the music as it rips you apart, leaving you a shell of your former self?" We start a little SALE! Season of Mist, Prophecy, Osmose, Van, Casus Belli Musica, Einheit Produktionen, Dusktone and more others! Use RUBLES and save on currency rate!